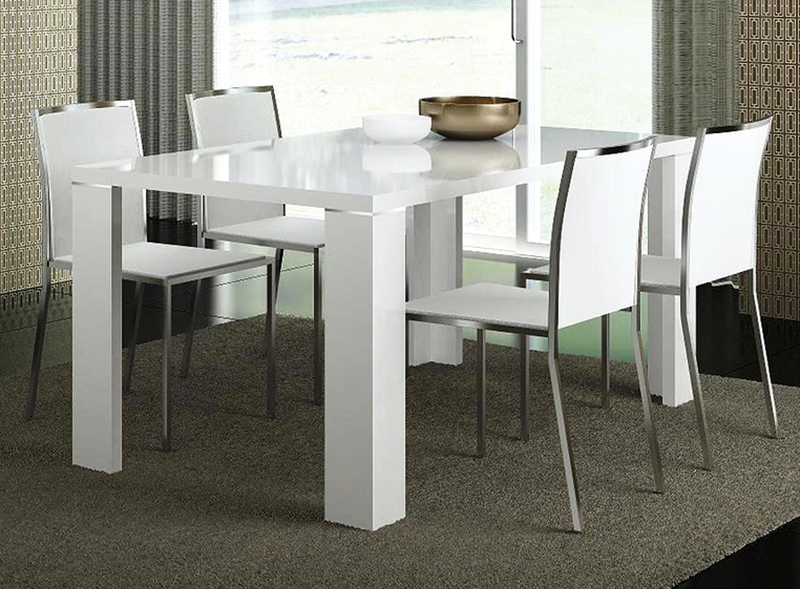 White High Gloss Dining Set. Made in Italy. Starting price $1199 is for Dining table only. Please select additional items for complete set. This Italian White High Gloss Dining Table with Extension offers a contemporary approach in design with a slight classic flavor. Durable wooden construction combined with rich high gloss finish give this table its ultra modern exterior while the white color adds a touch of the elegance. This Collection has a modern look in its straight forms and accurate details. Dining table can be extended up to 83" long. 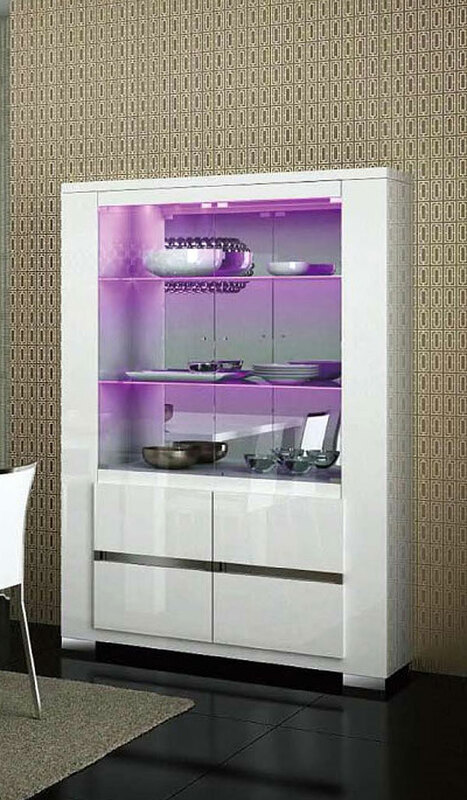 Matching China Cabinet with Light and Buffet also available. Solid ash edge and legs, Ash veneer. Oak Veneer, Sculpting stainless steel. Modern style, Walnut Extension Leaf.